When we go to a beauty salon or a spa, we expect to be pampered. We expect to leave looking better and feeling better. In most cases, this is exactly what happens. However, there are incidents whereby beauty treatments go wrong, and injuries are sustained as a consequence. This can easily happen if a negligent or incompetent professional carried out your treatment, or if they were not given the correct products for the service they were carrying out, be it a wax or a makeover. You may think that there is an extremely slim chance of such an incident happening. However, the statistics make shocking reading. The Hair and Beauty Industry Authority (HABIA) released their statistical report, which showed that at least half of the individuals working in the beauty treatment industry in the United Kingdom are not sufficiently qualified. If such a beauty technician treats you, there is a heightened chance that an injury could occur because of a lack of training. There are many different types of beauty treatments that are carried out on a daily basis around the UK, and which run the risk of injury if they are not carried out correctly. This includes minor cosmetic procedures such as Botox, as well as nail treatments, body arts, body piercing, spa treatments, laser skin treatments, tanning, microdermabrasion, and hair styling. When cosmetic treatments and beauty procedures are not handled correctly, clients could suffer from blood bone diseases, contraction of post-procedural infections, allergic reactions, skin burns, and chemical burns. If you or someone you love has sustained injuries because of negligence that has happened at a tanning salon, nail salon, spa, beauty salon, or any other type of beauty establishment, our legal specialists can help to make sure you get the compensation you deserve from the business owner or the negligent professional. You will find all of the information you need about beauty treatment negligence in this guide, as well as our contact details at the bottom of the page so that you can get in touch with us for more information or to begin your claim. 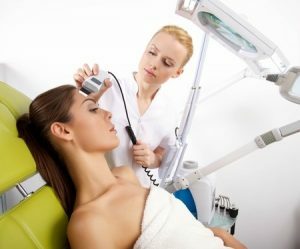 What sort of injuries can happen due to a beauty treatment? What sort of things are you going to be able to claim for due to your beauty treatment injuries? How much will you receive if you make a beauty treatment claim? It is a legal requirement for the managers and owners of beauty treatment businesses to ensure that they operate in a manner that protects their clients. You can refer to the Health and Safety at Work Act of 1974, Section 3, to see that this is the case. There is additional legislation in place that also backs this up. This includes the 1982 Sales of Goods and Services Act, which specifies that the suppliers of services and the sellers of good must provide customers with a service that automatically enters them into a contract that protects them from damages and potential injuries. If a beauty service provider has failed to adhere to these instructions that have been put in place by the government in the UK, then they will be deemed negligent. This means that they must pay compensation to the injured party. If that injured party is you, we can help you to get the payout you deserve at Accident Claims. Our legal specialists have years of experience in the industry, and we will match you to the best No Win No Fee solicitor for your case. But first, read our guide to find out everything you need to know about this type of claim. This includes information on making a burn injury claim, how much compensation you may receive, and how to launch a hair salon negligence claim. This refers to any kind of injury that has happened because of a beauty treatment procedure. This could be an injury that has taken place during the treatment, or it could be a side effect that has happened later. There are a number of beauty treatment injuries that a person may suffer. This includes allergic reactions and infections that have happened because of potentially harmful chemicals that have been used, beauty treatment procedures, and beauty products, as well as injuries due to equipment failure and human error. When beauty treatments are applied to a person’s skin, there is always the risk that an allergic or chemical reaction could happen. Severe health consequences can occur even if a small patch of skin has been exposed to caustic chemicals. This is why beauty technicians have been trained to ensure that their clients are safe. All beauticians must carry out patch tests on their clients. This means applying the product to a tiny part of the person’s skin to make sure that they do not have a reaction. If your beauty technician has failed to do this, you will definitely have grounds for a claim. You will also be able to claim if the professional has not used the correct product, they have failed to read the manufacturer’s instructors, or they have applied the product in the incorrect manner. Can you sue a beauty salon for chemical injuries? There are a number of chemicals that are used in the beauty industry. These chemicals need to be handled in the correct manner. If an untrained person uses chemical products, the consequences could be disastrous. This is why there are clear laws and guidelines in place for the application of chemical treatments, including the legislation that has been implemented by the Department of Health in the UK. The chances of someone suffering an injury are virtually none existent if the guidelines have been followed properly. However, if they have not, this is when injuries happen, and you will most certainly be able to make a claim if this is the case. Can you sue for a wax burns and injuries? This is a question we often get asked. The simple answer to this question is ‘yes’ – so long as you can prove that the beautician is in the wrong. There are a number of different ways that wax injuries can happen. As mentioned earlier, carrying out a patch test for products like this is a necessity, and if they have failed to do so, then you can definitely claim. Furthermore, if the beautician has applied the wax when it was too hot, causing burns, you can claim. Equally, if the skin has ripped because the treatment has not been applied correctly, you then have the basis for a case. Not all beauty treatment injury claims are launched by clients, we have helped numerous employees to make claims too. If you feel that you have been injured in the workplace and your employer is to blame, we can help you get the compensation you deserve. There are numerous ways your boss could be at fault. This includes providing you with insufficient training, allowing you to use defective equipment and products, and ignoring health and safety risks. All employers have a legal duty to uphold high levels of health and safety. If yours has failed in their responsibility, get in touch to start the claim process. As mentioned earlier, worryingly, over 50 per cent of beauty technicians in this country have not received the required treatment – they fall below the Level 2 qualification. At present, Level 4 is the highest level of qualification attainable, so you can see the drop. Not only this, but a minimum of 70 per cent of beauty salon workers suffer from one injury relating to work at some point. There are many different types of injuries that can be sustained due to a beauty treatment going wrong. This can be anything from minor injuries to major injuries. The severity of your injuries will go a long way to determining the amount of compensation you receive. This is why it is critical to see a doctor. A medical professional will put together a report that outlines everything about your condition and your future prognosis. This is used to determine the payout you will get. When it comes to beauty treatment injuries, it can often be the injuries that you cannot see that are the most painful. A lot of people suffer severe physiological consequences because of the injuries. This is especially the case for those that have experienced burns or disfigurement of their face. This may require counselling to get over, and some people can feel the emotional challenges for the rest of their life. It is prudent to note that these injuries are just as important as the physical ones, and we can ensure you make a claim for both. If you have been injured in a beauty treatment, you will want to give yourself the greatest chance of securing the maximum payout. To do this, you should gather evidence and take important steps to strengthen your case. This includes the following…. There are a variety of different things you can claim for when suing beauty salon establishments. Firstly, you can make a claim for general damages. What does this mean? Well, this is the payout you get for the injuries you have suffered. It is designed to help you pay for your medical treatment and to get your life back on track. You can also claim for special damages. What does this mean? Well, it is likely that you have encountered a few expenses along the way because of your injuries, right? Perhaps you have lost income? Maybe you have needed to pay for counselling to get over the trauma of what has occurred? No matter the cost, so long as it can be directly attributed to the accident, you can claim for it. Can you sue a beauty salon on a No Win No Fee agreement? You most certainly can. In fact, all of our solicitors work to this payment structure. For those who are unaware, this means that clients do not require a big upfront payment to start the claim process because you are only going to pay legal fees should your claim be a successful one. In which case, you will have the compensation that will cover the cost of the legal service. This means that you are never going to be out of pocket and it eradicates any financial concerns you may have. How much compensation may you be due? If you cannot see the injury/ies you have suffered in the table, don’t worry. Simply get in touch with our team and we would be very able to provide further help on how much compensation you may receive when suing a beauty salon. Suing a beautician doesn’t need to be difficult. In fact, the process is easy when you work with us. This is because we handle everything for you. All you need to do is give us a call for more information. We begin every service with a free consultation. This involves us asking you a couple of questions so that we can find out what happened. This is important so that we can know your case and advise you in the best manner. We will then keep you informed every step of the way. If you want to start the claims process, get in touch with our team today on 0800 073 8801. Our lines are open 24 hours a day, seven days a week. If you have any further queries or concerns regarding the beauty salon complaints procedure and launching beauty treatment claims, we’ll happily help. This link is for the government’s Health and Safety Executive website, where you will see information on the beauty sector strategy. This gives an overview of the industry, as well as information on health and safety issues. This link takes you to our guide to claiming burn injury compensation.